ALL EMAILS WILL BE ANSWERED WITHIN 12 HRS OF ENQUIRY /BOOKING REQUEST. INDOOR FLUSH TOILET, OR DOWNSTAIRS SHOWER,WASHING MACHINE,FISH FILLETING BENCH etc .can be emailed on request. NOTE: Under Kiwi bach tradition you are expected to: Clean the house and do the dishes, and leave the property as you found it. Good sized fridge over small freezer. Experience a real Kiwi Bach with every chance of seeing and hearing a real Kiwi at night-priceless. The Bach is old and basic. Kitchen equipment ok. More stainless pots would be good.Too much furniture jammed into the living space made it a bit hard to be comfortable. In early April no sun shone on the house. It was cold and a bit damp. On the upside, the kiwis performed beautifully and the view and location are spectacular. Locals friendly! A heater would have helped and an extractor fan downstairs would be good. Helpful host. Many thanks. All we neended for our stay. Great view of on water activity. This bach worked perfect for us and Harvey had the place looking wonderful for us. Heaps of sleeping space and wonderful views from kitchen and lounge and the covered balcony. Very short walk down to the beach and you can also watch your children from the deck as well. We loved it! A ‘quintessential Kiwi bach’ with lovely views of the picturesque bay and bush, with beautiful walks. The kiwi nightlife was an unexpected bonus! So lovely to hear the birds in the surrounding bush. 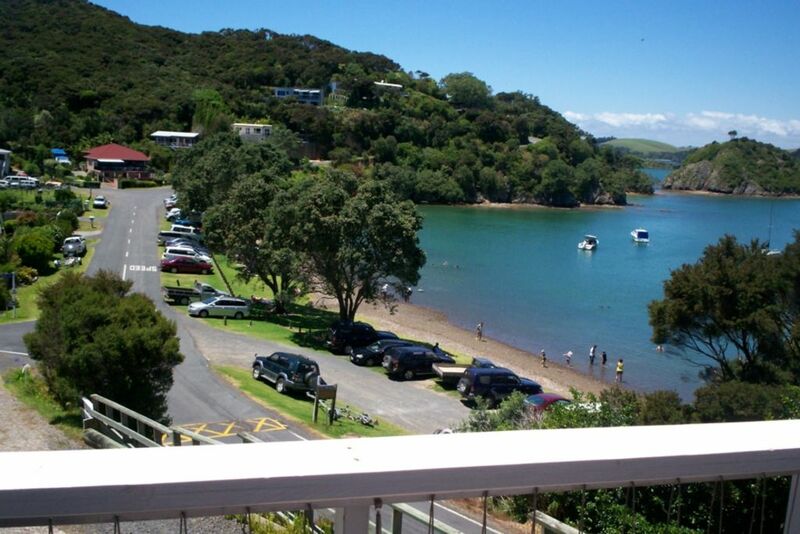 The location is a great base for exploring all the beautiful Bay of Islands has to offer.